The Full Moon is a time where our emotions filter out and release themselves from our physical and emotional body. The moon rules our emotions, thus, why people believe that "the crazies are out" when a Full Moon is in the sky. A Full Moon occurs when the sun and moon sit in opposition, causing their energies to come head to head; much like a yin and yang. With these two energies, we find balance and clarity. This Full Moon has an added aspect, the Total Lunar Eclipse with the sun that has now moved into Aquarius; bringing forward multiple energies. The Total Lunar Eclipse causes the moon to turn red for a period of time, giving her the name "Blood Moon." In ancient times, many believed the blood moon was the sign of a bad omen, while others believed that this particular moon had mysterious energies that gave them more physical strength and heightened their physical abilities. Lunar Eclipses allow us to cut ties with our past and anything hindering us from our growth. There is an added element of release with the high vibration of the lunar eclipse and the full moon. Changes can sometimes take 6-18 months but with the energy of the eclipse, these changes can happen in the blink of an eye giving you a clean slate to begin working with. We are at the beginning of Eclipse Season, and eclipse often comes in twos with the occasional three. These last in an 18th-month cycle. This Lunar Eclipse is connected with our last eclipse that took place August 11th, 2018. The New Moon in Leo, a solar eclipse. Reflect back on that day, if you keep notes (as you should) read what you wrote down and meditate on the energy you held that day. What intentions did you set? Were they manifested into your reality or were they lost? Are you still working on those intentions? Did you alter them in any way? These answers can really help guide you through this Full Moon as you'll see how far you have come and it can help push you further. Our Leo is the leader of the Zodiac. She brings the element of fire and passion to our energy. She is the holder of the brave, warrior heart. Leo cannot do anything without expressing herself fully and raising her roar so that she can be heard. She is a fearless leader, compassionate, and seeks justice for all around her. She does not care about the opinions those around her may have about who she is but she handles it with grace. She is fiercely independent and will no apologize for exploring with an open heart and wide eyes. In any storm, you can find her standing firm against the winds. 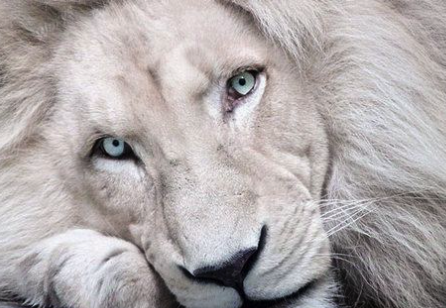 With the Full Moon in Leo, she is asking us to release our fears and rise up into our courageous lion heart. She asks you to not shrink yourself to make those around you comfortable; yet, encourages them to rise with you. Leo Rules are Natal 5th House: the house of self-expression, child-like play, joy, and creativity. Leo energy is reminding you of what is important in your area of self-expression. Leo doesn't mind what others think about her. She is playful, she loves bringing out her inner-child to spark creativity and imagination. She is fully aware that happiness is the goal she wants to achieve and she knows how to get there. She is unafraid of her true identity nor is she afraid to show who she is to the world. This Full Moon, really ask yourself what your true identity is? Who are you to the world? Who are you when you're alone? Are they the same person? What is inside of you that you want to unleash? This full moon is the time to do it, without fear. Another Aspect of this Full Moon is, it falls on the day we move into Aquarius Season, bringing forward yet another energy to work with. 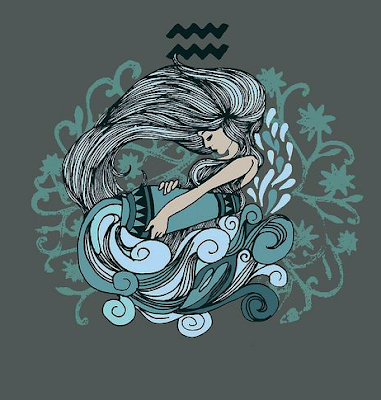 Aquarius, our fixed air sign is assertive, independent, and original. Our 11th sign in the Zodiac is our sign of the future, our visionary. The best energy of Aquarius is their quirky, witty personalities. They refuse to follow a crowd and like to do things their own way, as they march to the beat of their own drum. The symbol of our 11th Zodiac is that of the Water Bearer; Dispensing a gift that flows freely and equally. The water that the water bearer pours symbolizes truth and the truth you share with the world. The Written Symbol of Aquarius, represents the water that flows from the vessel of the water bearer. The ridged unbroken lines represent electric energy, universal though, and the wisdom of the future. Aquarius is Ruled by Uranus; the planet of change, disruption, the unconventional, and unexpected. The Ruler of our Natal 11th House, the house of Friends, Hopes, and Wishes. It has to do with long-term desires, goals, and intellectual pleasures This House governs all that has to do with groups and clubs that have to do with your work, professional life, and family. It also brings forward the types of friends you connect with depending on your interests. This Full Moon will combine the energies of the two Polarities: Leo and Aquarius. While Aquarius wants you to look at things more idealistic and larger issues of the world. Leo wants us to look for fun, playful times that will make them happy. Playful Leo is our primary focus this Full Moon, however, we must look at the 11th and 5th house axis to understand how both of these energies can affect us. Leo's focus is on individual expression of creativity and leadership. Whereas, Aquarius is focused on the dynamics that groups can bring us. The Shadow Side of Leo is Ego. The Shadow side of Aquarius is Detachment and Criticism. We are asked to release our ego and balance our heart and mind. We are asked to look from both energies and know that we are unique just as the others around us are too. We have something to offer the world, just as others around us have something to offer as well. There is room for everyone. 1. Cleanse Your Crystals - Run them under cold water for 5 min to rid from all heavy, stale energy. 2. Place Crystals Under the Full Moon to Charge with New Energy. 3. Meditate. Practice focusing on your breathing with Pranayama Breathing. "Life Force" - Breathing, to help you become more aware of your breath. Meditating will also help you clear your mind so that you are more connected with yourself and are able to let go with ease. 4. Let Go. This Full Moon is a great time to Let Go of Ego. Release all attachments that are connected to your Ego. 1. What messages is your Ego telling you are true? 2. What attachments are you holding onto because of Ego? 3. How do you criticize yourself? How do you criticize others? What have others criticized you for? 4. What are your defense mechanisms? Are these conditioned traits from your parents or your own? 5. How can you open up more to your inner child? What can you learn from them? 6. Do the intentions you set only serve you? Do they Serve others? How can you open them up to serve a larger group of people? How can you close them more to serve yourself? 7. What makes you feel fulfilled in your sense of purpose? Before you do these rituals, practice being without your cell phone and any form of technology. We cannot truly get to know ourselves when we are congested with outside influences and distractions. Once you are done with your practice, try going to bed without checking your phone or turning on the TV. Once you have meditated, did reflection, and connection - we can get more rest when we aren't automatically going back to what can make us feel heavy. Break the technology attachment. Build the habit to go to sleep with a clear and mindful mind - this will help with more mindful resting. Love Yourself and Love other People! Good Luck!